The entry visual merchandising grouping already crowded, Macys Christmas Ball Ornaments Ceiling-to-Floor adds color and a festive touch from overhead. 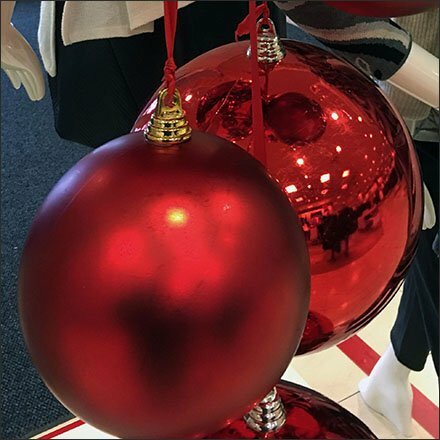 Each year Macy’s deploys its arsenal of oversize Christmas Ornaments. But each year the deployment is subtly different. The creative consistency adds to the chain’s seasonal branding. Consider this Macys Christmas Ball Ornaments Ceiling-to-Floor use in the gallery of images.